March 11 President’s Lecture: Water Scarcity: Threat or Opportunity? David Goodtree, co-founder of the New England Water Innovation Network (NEWIN), will discuss “Water Scarcity: Geopolitical Threat or Technology Opportunity?” a free, public lecture presented by the President’s Lecture Series at Clark University, beginning at 5 p.m. Wednesday, March 11, in Razzo Hall in the Traina Center for the Arts on Downing Street. Goodtree is a Global Venture Partner for OurCrowd, the world’s largest crowdfunding venture capital firm. 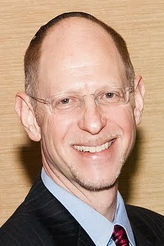 He is a frequent speaker on the innovation economy, testifying before the U.S. Congress about water tech, and delivering presentations at venues such as TEDx, the MIT Enterprise Forum, the Brandeis Global Trade Summit, E2 Environmental Entrepreneurs, and is sought for comment by the Wall Street Journal, The New York Times, and USA Today. David Goodtree, from his 2012 TEDx talk. David Goodtree is a founder and co-organizer of the annual industry gathering known as SWIM, the Symposium on Water Innovation in Massachusetts. Goodtree is a founder and co-organizer of the annual industry gathering known as SWIM, the Symposium on Water Innovation in Massachusetts. Goodtree also produced the “Massachusetts Water Industry Market Map” to showcase the industry’s depth and breadth. He led the Massachusetts Water Innovation Mission to Israel, and co-organized the “W.E.T. Revolution Competition” to highlight innovative water tech companies. Previously, Goodtree was VP Marketing with Akamai Technologies from the company’s pre-commercial launch through IPO, and also served as Group Director of Forrester Research, providing market research and strategic advice in telecommunications, networking, and computing. Goodtree is an active community volunteer, serving on the boards of business associations and non-profits such as the New England-Israel Business Council and MassChallenge Advisory Council. “Mr. Goodtree’s focus on the implications of water scarcity made him an ideal speaker to bring to Clark, considering the University’s clear commitment to tackling issues of sustainability,” said Roei Shimony, a sophomore majoring in economics who worked with President David Angel’s office to help coordinate the lecture. The President’s Lecture Series was established in 2002 and features lectures each year by eminent speakers in the sciences, arts, humanities and international relations. Lectures are free and open to the public. To check out previous President’s Lectures, visit here.